The Sunday Salon [3.27.2011] – my books. my life. My husband, one of those lucky people that still get spring break, has abandoned me for a few days to visit his sister in Pittsburgh. So I am enjoying a some alone time this weekend. Unfortunately this has not translated into any reading time for me so far. Ah, life. 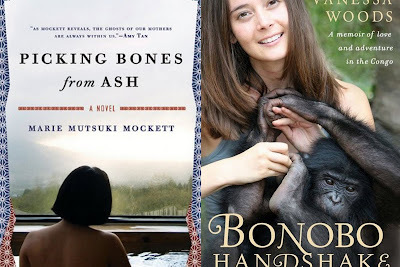 This week I finished reading Picking Bones from Ash by Marie Mutsuki Mockett (review here) and listening to Bonobo Handshake by Vanessa Woods. 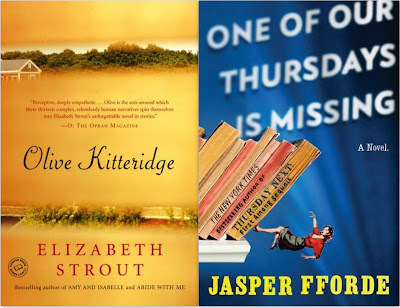 I am currently reading Olive Kitteridge by Elizabeth Strout and One of Our Thursdays Is Missing by Jasper Fforde. Anyone dying for me to talk about one of these this week? I’m open to suggestions. Oooh, I LOVED Goon Squad. It most definitely will be one of my top reads of the year. I’d love to hear what you think about it. I really want to read your thoughts on Matched and on The Handmaid’s Tale, especially after having read that after reading Wither!! Enjoy your time sans hubby! Michelle – I can’t wait to see what you think of Olive Kitteridge. I read it earlier this year and enjoyed the way the stories all came together.